This coupon was last used 6d ago and is currently rated Likely to work. Ongoing deal, never expires. Last validated 5mo ago . Used 20 times. @dealseveryday As of 09/22/18, I tested this promo code and verified that it works as described. edward rodriguez I tested this promo code and verified that it works as described. 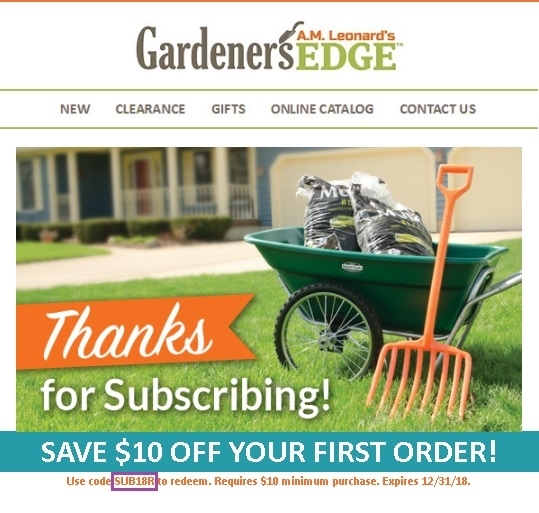 Good deal, add your item to cart, enter promo code <SUB18R> and save 10% Off Your First Order at Gardene's Edge. robertmarquez I am re-activating this expired deal. I will update it and validate that it works. For redeeming this offer. 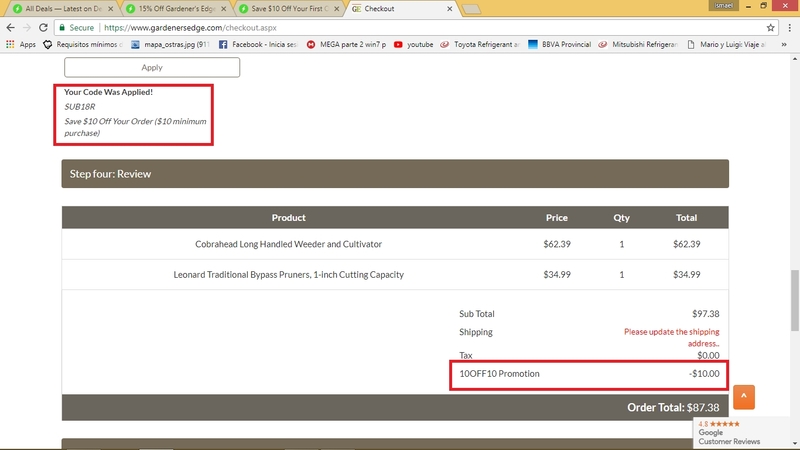 Add items to your cart and enter promo code SUB18R at checkout to get the discount. There may be some exclusions apply to this deal. Pepe Sanz I am validating that this deal works as described. 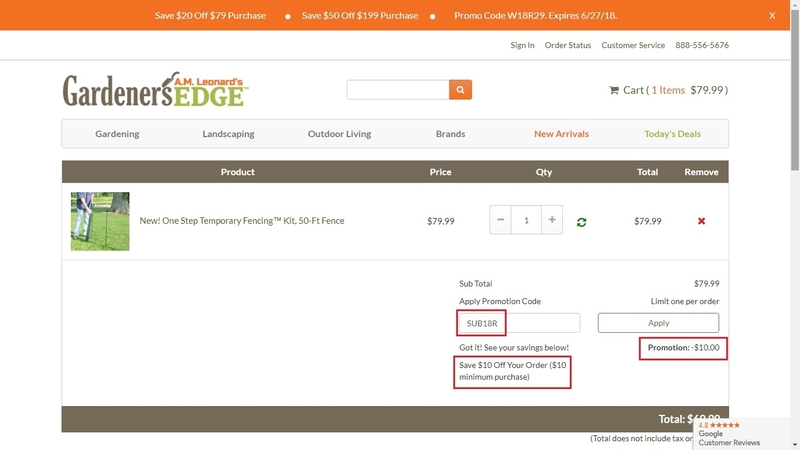 Simply enter the code during the checkout process to apply this discount. 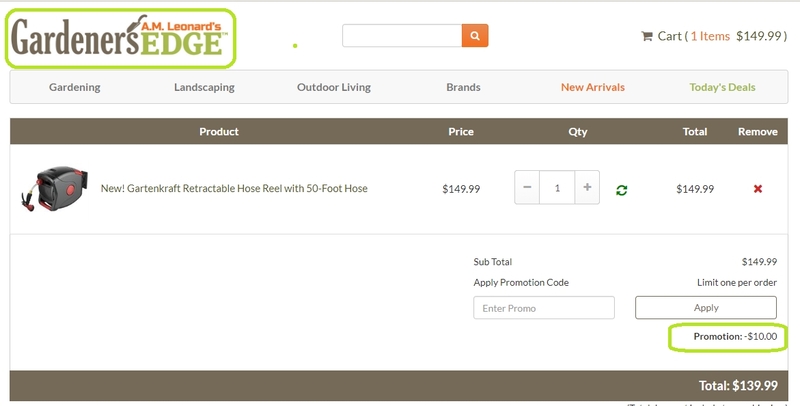 There may be some exclusions that apply to this deal. 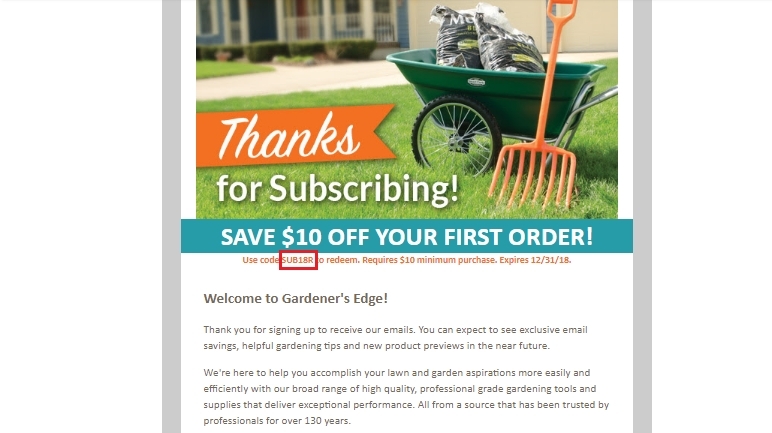 Diego Ramirez This deal is currently active and working as described, Add products to your cart and paste the code at checkout to save $10 off your next purchase at Gardener's Edge. samara aponte I am validating that this deal works as described. 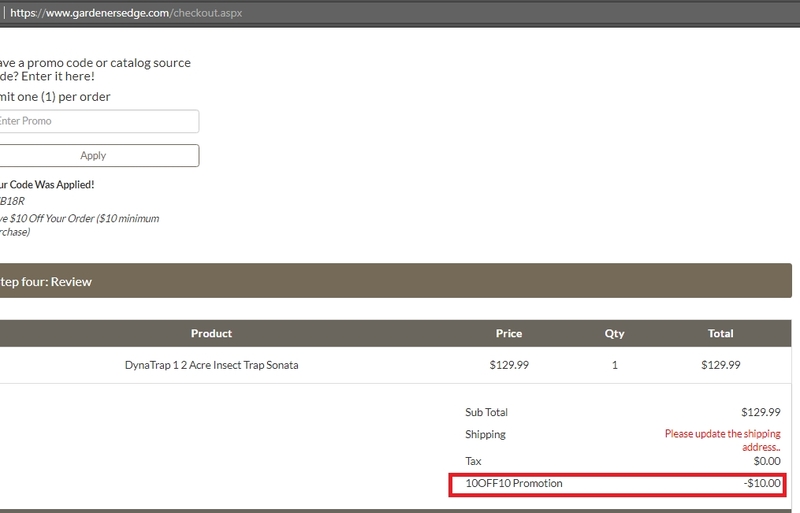 Use the promotional code during the checkout process to receive the discount. 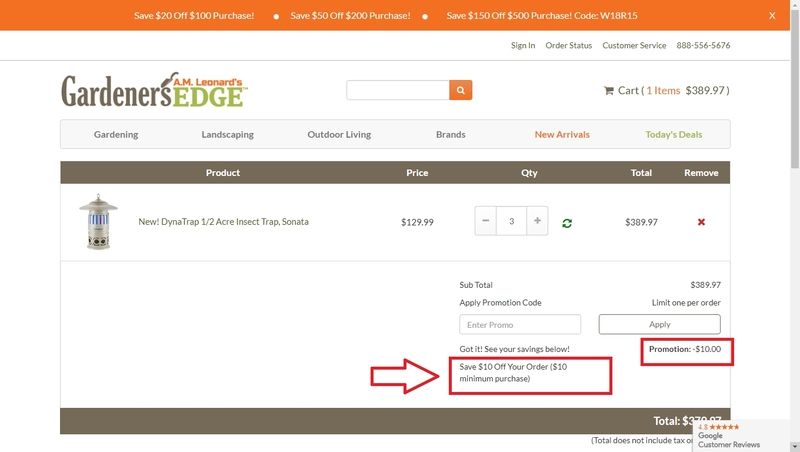 angel rengifo i am validating that this deal works as described, just apply the code and save $10 off your first order at gardener´s edge.